On October 19, 2014, Brandon and I welcomed our daughter Madison Grace into our lives. 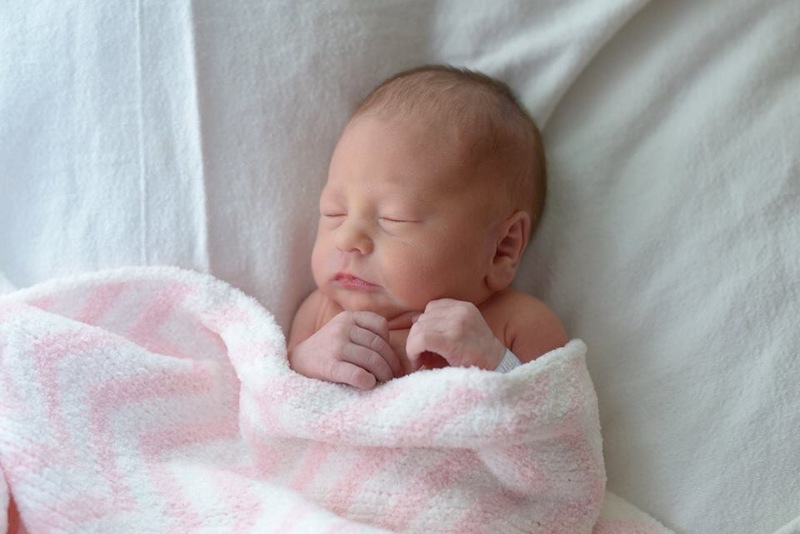 Referred to many times over by our nursing team as “nothing but a peanut,” Miss Maddie weighed 5 pounds, 9 ounces and measured 18 1/2 inches when she was born at 4:41 p.m. In addition to a full head of hair, Madison has the most kissable cheeks and loves to curl up with her hands near her face – pretty much the position we found her in during every ultrasound. I’m off to snuggle more with this tiny person who has already stole my heart. I promise to share more soon. In the meantime, thank you for allowing me to share this journey with you and sharing with our excitement! Congrats, she is so beautiful! Soak up every minute! Can’t wait to meet her. Congratulations Nicole! How wonderful! She is beautiful.